Posted on 01/17/2018 by Mickey McCarter	in Interview, Live Review and tagged 9:30 Club, art pop, Interview, jazz, Kimbra, New Zealand, R&B. Art pop chanteuse Kimbra, born Kimbra Lee Johnson, will perform at 9:30 Club on Tuesday, Jan. 30. Thrilled about the New Zealand native’s return to DC, Parklife DC caught her for a telephone interview recently, and we chatted about the importance of albums, artistic inspirations, and her future ambitions! Kimbra: Yes, I released a long-form statement to my mailing list. I like to speak directly to my fans. I get frustrated with Twitter, and I like to say things in a longer format. I’m a big believer in the role of the *album. * Many people are releasing singles or making playlists. I think there is something special about having the time to achieve a full vision. Basically, I realized there was a lot more that I wanted to do before the record dropped. Some of that has to do with the album itself, and some of that has to do with some things that I want to happen before the record comes out. I have so much content for this album, and I really want fans to live with it a bit longer before I drop the record. I want to release a song every month leading up to the album. There’s so much that I want to bring into a campaign, and I really believe that timing is a big part of being able to see that stuff through. It’s amazing that fans have been so understanding of my creative process. I think it’s going to mean that more people will get to hear the record, and it will get to be a more beautiful final piece of art. MM: I love your attitude that the record as a whole is an experience and not simply a single off it. And I wonder if you’re inspired by favorite albums of your own? Are there particular records that you look to where these are great albums and you want to live up to that standard? Kimbra: Of course, there are so many! I really do look up to Radiohead, particularly when it comes to albums and the time that they put into them. People are very understanding when they have to wait for them! And Fiona Apple, who took years to put out Extraordinary Machine. I think these are records that people really loved. There’s a great quote from Japanese video creator Shigeru Miyamoto — “A delayed game is eventually good, but a rushed game is forever bad.” Well, that’s an interesting thing to think about for an album as well, you know? By delaying a piece of art, it gives it time to reach its full potential. I’m a big admirer of artists who don’t follow the trends and try to put something out every second. Although I do plan to release a lot of music this year, there is something sacred about the album. And I want to make sure that I set it up right, and ponder it with some other projects that I’ve had in my back pocket for a while. In terms of specific records, I really like Fiona Apple’s Extraordinary Machine because that’s one where people waited for a really long time, and it was great. And In Rainbows is a very big album from Radiohead for me — one that I go back to and admire its quality. MM: Hey, I spent some time in recent days watching your music videos — those are *beautiful* music videos. And after watching them, I think you’re moved specifically by iconic imagery. Are there designers or artists that you work with or inspired by when you’re doing video in particular? Kimbra: All of the people I make music videos with are artists. But I particularly enjoy collaborating with Guy Franklin. The first thing I ever did with him was called “Settle Down,” and we went back to working together on this new album. He’s certainly an artist, and when we collaborate, I feel like we are working on a great film, you know? And I’m certainly inspired by fashion designers. I always look to people like [Alexander] McQueen and Victor & Rolf. People in the fashion world inspired me to think outside the box in terms of visuals. And Dali — well, there aren’t as many people who I think pushed the boundaries of imagination. Lately, my videos are not as much high art or surreal than those I have done in the past. I’ve been more tortured and looking into human emotion as opposed to being super psychedelic. Again, that inspiration comes from various artists who are clever at showcasing vulnerability — and there are too many to name. MM: Great! You’re playing here at 9:30 Club on Jan. 30, and I wonder what we can expect from the show? Kimbra: I’m playing the entire new record. I really enjoy playing the new songs for people. When they are not all released, it gives you the chance to live with the songs in a live context even before they have them on their phones to listen to. It’s a big light show as well. It’s a great visual show. I’ve had a lot of work done on that part; it’s really important to me to make it a multimedia show. I have an amazing band — it’s a smaller band than what I’ve toured with in the past, but in many ways, I think it sounds bigger than ever. It’s an electronic show, so there’s a lot of sound design going on and amazing tech. It’s going to be a really good show, and I can’t wait to get back to Washington, too. MM: We are certainly looking forward to seeing you! In the future, where your career is concerned, what are your ambitions? Are there things you want to do in the future that you can discuss with us? Kimbra: Absolutely! I want to continue my love of collaboration by stepping into more technical roles. Part of what I do is producing, and for my own music, I sometimes get up to 80 percent of the track myself in my home studio. I would love to dive in with another artist and help them try things that I’ve learned starting so young with it. We should be giving women more chance to become engineers! It’s such an amazing skill to have in this industry. If you can walk into a studio and pull out the stops, it really gives you so much more creative control as well. It’s something I would like to get into — either inspiring others or jumping in and producing others. I think that would be a lot of fun. I would like to work more with film. I have a big love of film! I’m involved with one next year, which is a little bit of a secret right now. That’s going to be a new experience. Those are some of the top things that I’m striving toward. MM: Anything you would like to add before we let you go? 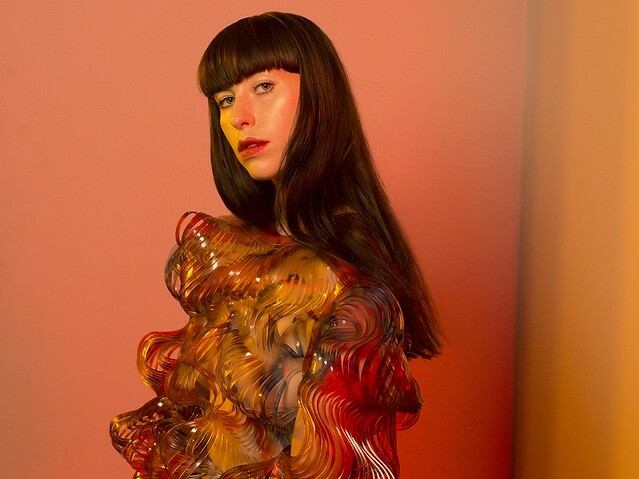 Kimbra: I’m really excited to see people and share my music. It was one of my favorite shows of the last tour, and I’m really looking forward to returning. Kimbra begins her tour in Boston on Jan. 28, and appears at 9:30 Club on Jan. 30. Buy your tickets for 9:30 Club online!